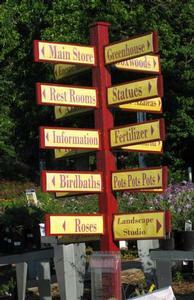 Betty’s Azalea Ranch is a family-owned garden center established in 1962. Our Fairfax, Virginia location encompasses 16+ acres of thriving seasonal annuals, perennials, shrubs, and trees. As our name implies, we carry one of the largest collections of azaleas in the United States, in addition to our incredible varieties of plants, including Japanese maples, rhododendrons, and shade trees. We at Betty’s believe that you can have it all—quality and service at great prices. Come visit our beautiful grounds and consult with our lawn and garden experts.